The Indianapolis Colts’ defense looks primed and ready to face Carson Wentz and the defending Super Bowl champion Philadelphia Eagles. Fresh off holding the Washington Redskins without a touchdown in a 21-9 victory Sunday, the Colts (1-1) turn their attention to the Eagles (1-1), who are coming off an upset loss at Tampa Bay but could be getting Wentz back. If Wentz is cleared to return nine months after surgery to repair torn ligaments in his left knee, he’ll present another big challenge for Indy’s young group. There weren’t many mistakes. After the Redskins led the NFL in rushing yards in Week 1, the Colts held them to 65 and made them one-dimensional. 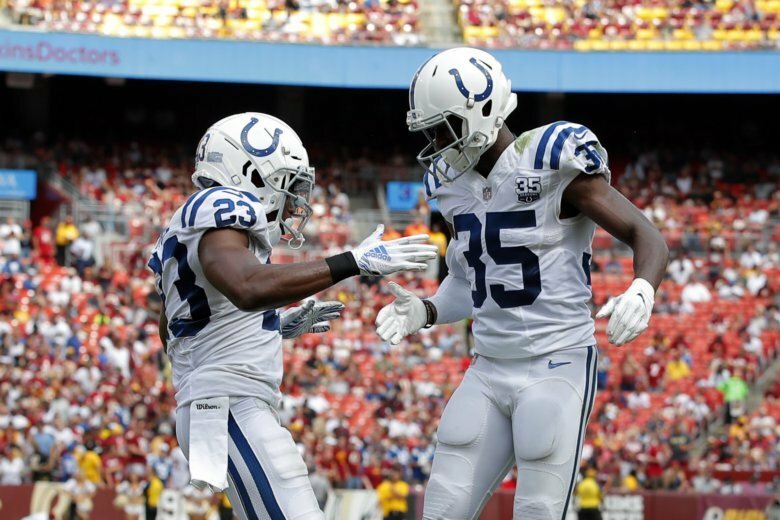 Led by rookie linebacker Darius Leonard, who had a game-high 18 tackles, a sack and a forced fumble, the Colts defense also limited Washington (1-1) to six points off quarterback Andrew Luck’s two interceptions and were at their best when the offense sputtered. After chief marketing officer Steve Ziff said the Redskins made a conscious effort to sell fewer tickets to brokers and team officials acknowledged there was no longer a season-ticket-holder waiting list, their sellout streak dating to 1967 came to an end with a paid attendance of 57,013. Left tackle Trent Williams wondered if Hurricane Florence had a role in that, even though the game was played in sunny conditions. With Aaron Rodgers and the Green Bay Packers (1-0-1) coming to town, the attendance will likely go up, but so will the percentage of fans rooting for the visitors. In his second NFL game, Leonard looked like a veteran. The second-round pick out of South Carolina State wasn’t bothered when his headset malfunctioned and he lost connection to the sideline at times during the Redskins game. Adrian Peterson gashed Arizona for 96 rushing yards and had two catches for 70 yards in Washington’s opener. Then the Colts bottled him up to the tune of 20 yards on 11 carries, which Peterson chalked up to falling behind and needing to pass too often. Two games into his return after missing all of 2017 with a shoulder injury, Luck sees things he wants to clean up in his game and errors he wants to correct. But he’s right in line with where he thought he’d be after so much time off. “I feel like I’m two games in and keep wanting to improve,” Luck said.